My name is Kim Krajcovic. 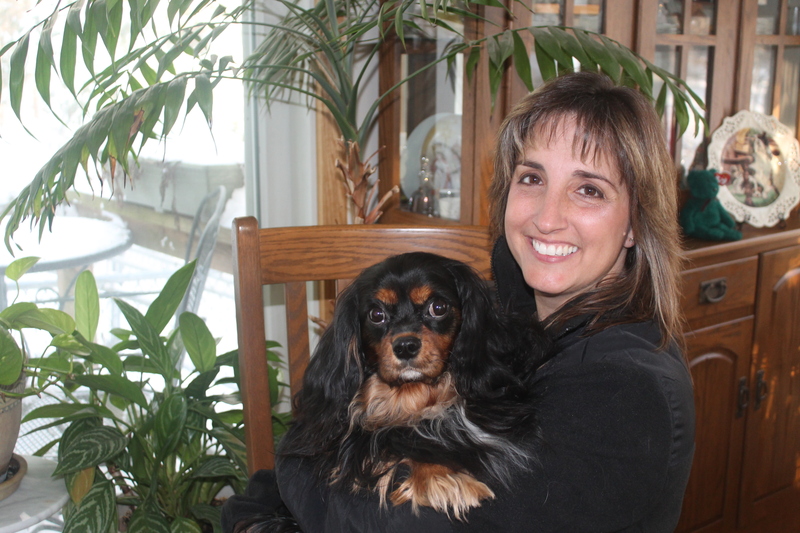 I am a Reiki Master Teacher taught by local animal communicator and creator of CinergE, Cindy Brody. I am also an Integrated Energy Therapy® Practitioner taught by Monica Bastian and Catherine Masterson of The Luminous Heart Center, and an Integrated Energy Therapy® Master-Instructor taught by Stevan J Thayer of The Center of Being, Inc. I am dedicated to being the best channel I can be to help facilitate the improvement of the overall health of both Humans and their Pets. My practice is named after my Cavalier King Charles Spaniel, Jasper. He started me on my journey. In the spring of 2012 I started competing with Jasper in Canine Agility. He was doing really well and we were enjoying the agility as a team. Then I noticed he seemed to be slowing down, and he had a barely noticeable limp that came and went. I brought him to my vet and he was diagnosed and treated for Lyme Disease. After the antibiotic regimen he didn’t seem to get back his joy for agility. I was concerned that the Lyme was not completely treated, or that something else was wrong with Jasper. The vet assured me he was fine. So I decided to take him to Cindy Brody. I figured she could tell me exactly what was wrong, because he could tell her. Cindy told me that he was feeling very stiff from the Lyme. She did a CinergE treatment on him, and showed me how to massage him myself. He left her office a changed dog! I couldn’t believe the difference in him! So I started looking up information on Reiki. I was completely intrigued by it. I decided to do a formal training and become Reiki Attuned. Fortunately for me, Cindy started doing Reiki training and I received my Reiki Master Teacher Certification/Attunement April 2014. I received my Integrated Energy Therapy® Master-Instructor Certification April 2016. I have been doing treatments on myself daily since receiving my Reiki Level 1 attunement. My blood pressure and cholesterol have both come down. I feel more relaxed and healthy in general. My Doctor has told me to keep doing my treatments because they are making a noticeable difference in my overall health! After a long day of Canine Agility my Maxim comes home tired and cranky with the other dogs. I usually sit with him and give him Reiki for about 10 to 20 minutes and his entire disposition changes ! My experience with clients, both two legged and four, has been amazing! What it does to aide healing, reduce inflammation, reduce chronic pain, and help with stress relief and anxiety is beyond words. Working with the energy, I learn something new with every treatment! I will forever be grateful to my Jasper for bringing me to Cindy Brody, Reiki has truly changed my life. I am grateful also for my clients/students that inspire me daily!